Home Biographies and Eulogies Articles and Biographies What Is Legends & Legacies? 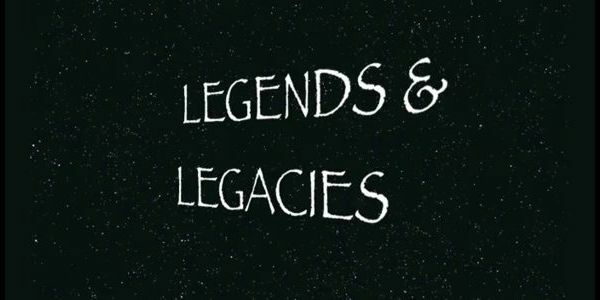 What Is Legends & Legacies? LEGENDS AND LEGACIES, is a partnership between Frank W. Dux and Gordon Richiusa. Frank Dux has been called the Godfather of the MMA, referred to as the Babe Ruth of Martial Arts by martial arts legend, Ed Parker, and namesake for the character portrayed by Jean Claude Van Damme in movie Bloodsport). 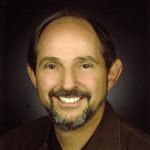 Gordon Richiusa is a martial artist, who began training in Isshin-Ryu under Bob Ozman and trained in Goju Kai under Mike Eves and the University of Santa Barbara and the South Coast Karate Institute. He studied Dux Ryu Ninjitsu He an educator, producer, publisher and author who was recently inducted into the Masters Hall of Fame, and the Legends Hall of Fame. Many of those interviewed are undisputedly the inheritors of titles, secrets and knowledge, which can only be earned through hard work and a direct connection with the true leaders in various fields of interest. Often this “secret” or seldom reveled information can only be honorably shared with someone who is a living legend themselves, such as Frank Dux, who will step out of his role as undefeated IFAA World Heavyweight full contact Kumite Champion to conduct interviews. Ordinarily Frank Dux is the legend being interviewed about his unparalleled knowledge and skill in the martial arts. Frank Dux’s celebrity within the higher echelons of celebrity will allow him to converse with other legendary figures in a way that no one else can, as an equal. His vast knowledge and insight about the intensity and rigors of training and competition at world class levels, will allow him special access to information previously unrevealed by those he is interviewing. In addition to holding numerous world records for his fights sanctioned by the International Fighting Arts Association, Frank Dux is a recipient of special awards from the USA Black Belt Hall of Fame, The Black Dragon Fighting Society, and is the head of numerous organizations and foundations both in the U.S. and abroad. (GR) Can you please summarize for our audience what the main objectives of Legends and Legacies might be? (GR) All too often the hype is taken for truth, even when no other facts support the lie. (FD) Exactly! What we do in Legends and Legacies is to allow people to tell their own story, in their own way and hear the other side of things. For example, for many years there was a rumor going around about Richard Gere that was just ridiculous. It was very hurtful. It was embarrassing to say the least and was spun by a vindictive nurse at Cedars Sinai [Hospital]. In my own case, there are rumors and words attributed to me that are unfounded and things I never said. I’ve personally had to struggle for years with this, and am grateful to World Wide Dojo for an opportunity to change things for the better. Gordon is a well respected journalist who puts what he’s learned in 50 years of martial arts training to work in all other activities in his life and offers many forums, encouraging a positive exchange of information to avoid misinformation (Vision Revision and The Five Principles of Everything). Because of his journalistic integrity to present the facts “as they are corroborated” and the quotes, “as the words were spoken,” his stated goal has always been, “to tell a good story, presented AS a good story, and to differentiate this story-telling from reporting the truth without embellishment.” As an associated project, Gordon produces a series of video statements entitled, “Message in a Bottle,” giving people a chance to distill what they feel is important and universal into a two minute statement. Current messages (including Frank Dux, Jhoon Rhee, Dana Stamos, Benny Urquidez, Steve Galvanoni, Barbara Rich, and co-producer of Legends and Legacies video, Alfred Urquidez) can be viewed, for free on YouTube, at the Vision-Revision website, here on WorldWideDojo.com as well as other delivery systems. If you are interested in contributing your Message, or to suggest a subject for this column, please contact Gordon Richiusa through this USAdojo.com. For more information on Frank Dux and his FASST/Dux Ryu programs please visit his website at: FRANK DUX WEBSITE. The documentary about the real Frank Dux, PUT UP YOUR DUX will be released soon. To visit Gordon Richiusa’s homepage, with links to his Five Birds Martial Arts Blog, his YouTube Channel or some of his other projects please visit: Five Birds Media . 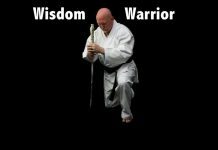 At this location you will find a free writers website that incorporates martial arts concepts into the teaching of communication skills http://www.vision-revision.pbwiki.com and a link to Gordon’s newly released novel Shidoshi: The Four Ways of the Corpse . 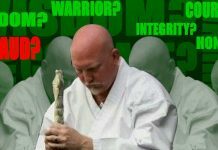 You can also contact either Frank Dux or Gordon Richiusa through Worldwidedojo.com and the Legends and Legacies column.